It’s not going to be long until wedding season is upon us again, and I don’t know about you, but I don’t think there’s anything better than planning the perfect outfit. I’ve been dreaming about my wedding dress since I was a little girl, and still hope that one day I will meet my Prince Charming so I can choose the perfect dress. But it’s not just the bride who has to pick her outfit – there are bridesmaids, mother of the bride, mother of the groom and wedding guests too! I was recently contacted by Simply Be to see if I wanted to check out their wedding collection, and, of course, I jumped at the chance! They kindly let me choose a couple of pieces and I’m excited to share them with you. Up until last year, I hadn’t really paid much attention to clothes from Simply Be, mainly because I associated them with plus size clothing and I’m generally a size 12. 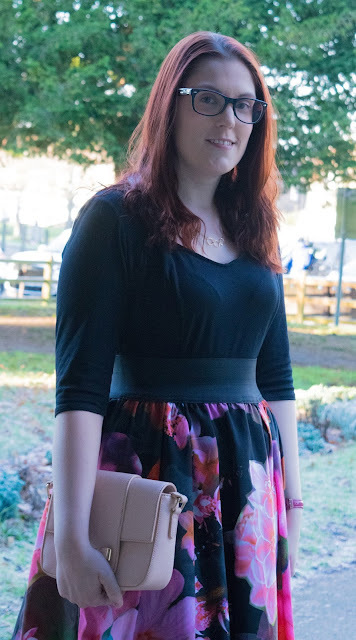 But I was pleased to discover they actually cater for a whole range of sizes, from 10 upwards, and are passionate about women embracing their curves and feeling confident. They have a huge selection of clothes, shoes, accessories, beauty products and more, as well as a range of different brands including AX Paris, Benefit, Coast, Jimmy Choo and YSL. And just to make things that little bit easier for you, they have a section specifically for weddings, which you can check out here. I’ve been lucky enough to be a bridesmaid a few times over the last few years, and as I’ve got a couple of weddings to go to this year, I thought I would look for an outfit that I can wear as a guest. 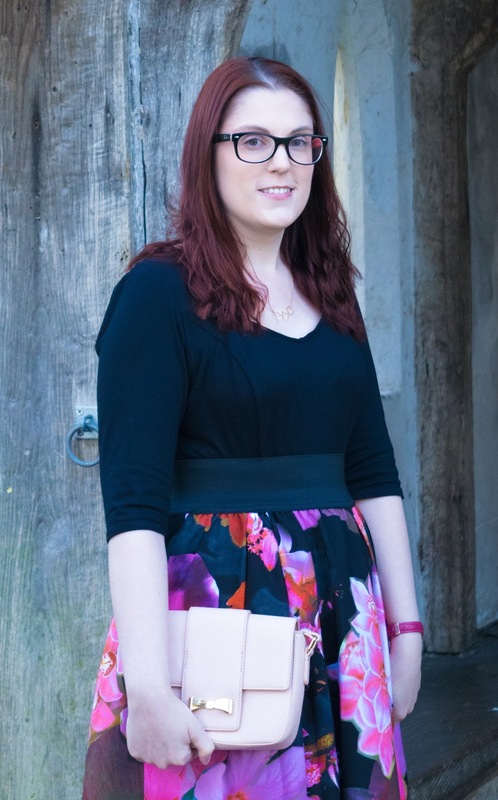 It took me ages to choose my pieces – they have so many lovely items, I just couldn’t choose! But I finally settled on this beautiful Scarlett & Jo Prom Dress for £65. 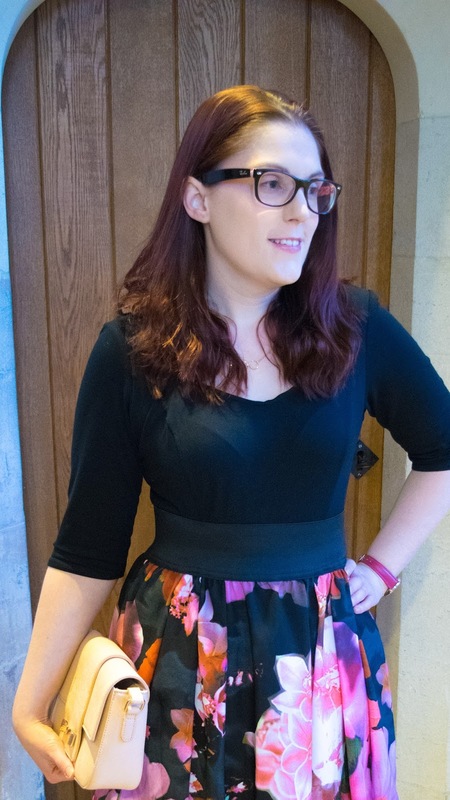 I know there’s a bit of debate about whether you should wear black to a wedding, but I think this is perfect for this time of year. The longer sleeves will keep you warm, but you’ve got the gorgeous winter floral design on the skirt. 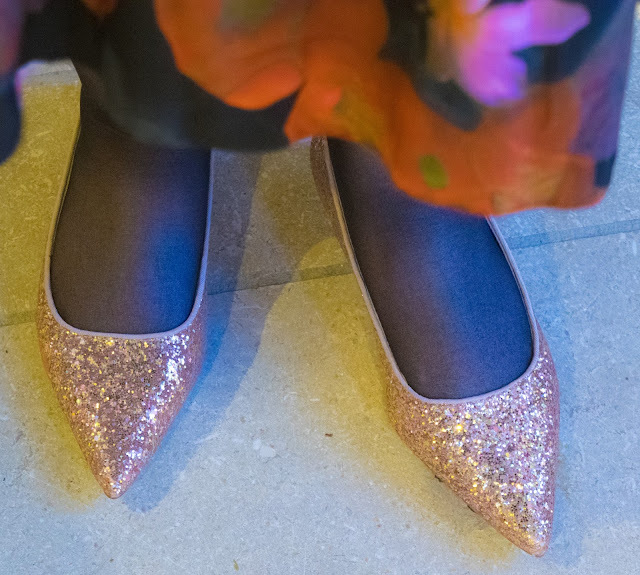 It’s incredibly comfortable, and can easily be paired with a variety of shoe colours (I chose these amazing rose gold glittery ones, which I picked up in Next a couple of years ago). 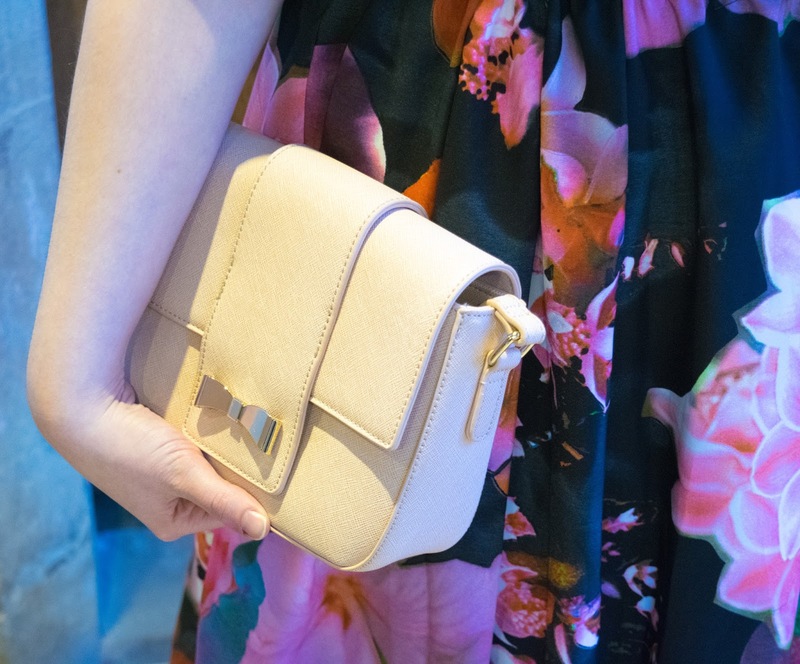 When you’re planning a wedding outfit, finding the right bag is vital. You want something just big enough to fit all your essentials in (phone, camera, lipstick) but nothing too large to be carrying around all day. 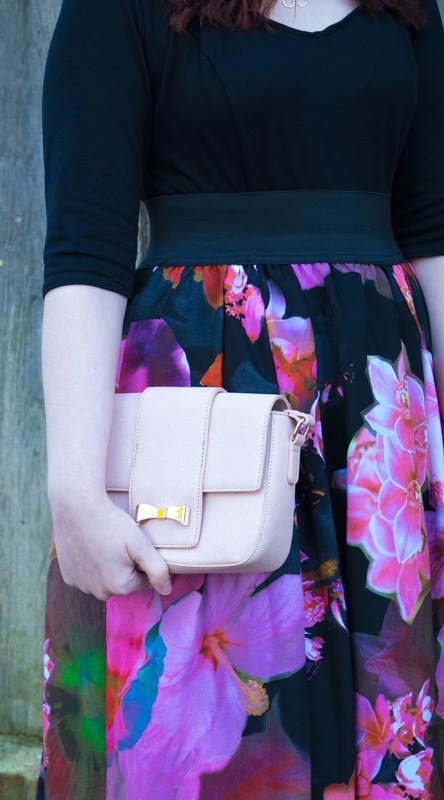 I found this adorable little Satchel Bag with a gold bow, which is currently reduced to £25. 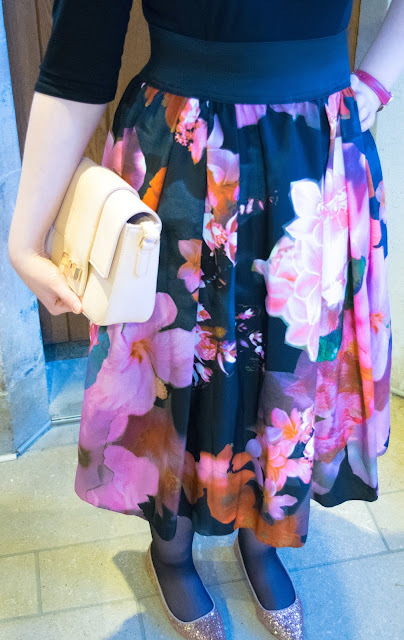 The blush pink goes perfectly with the bright pink floral design, and it really reminds me of a Ted Baker bag I’ve seen before, but obviously a fraction of the price! It’s just the right size for my camera and phone, and can either be held as a clutch or has a long strap if you want to wear it over your shoulder. Once I’d got into my dress, I thought I would go for a natural make-up look with a rosy pink lip. But the great thing about this outfit is, it would suit all sorts of make-up looks from glam to barefaced. I decided to leave my hair fairly un-styled, with just a slight wave, but again, any style would look good. 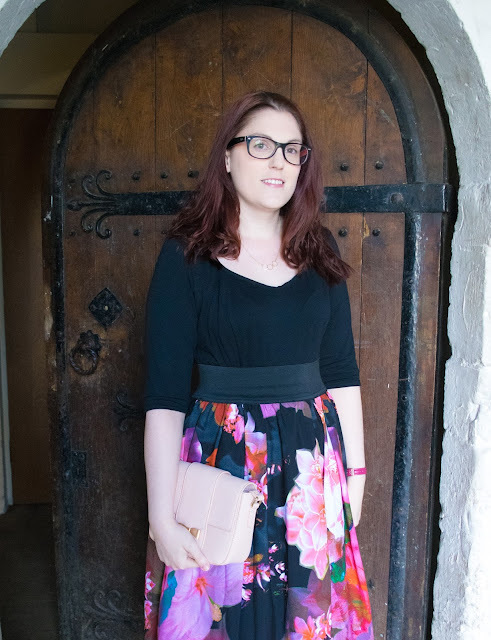 To take these pictures, I went down to my local church (it’s a wedding outfit after all!) and got so many lovely comments from people who were visiting. I definitely felt like I was waiting for the bride to arrive! 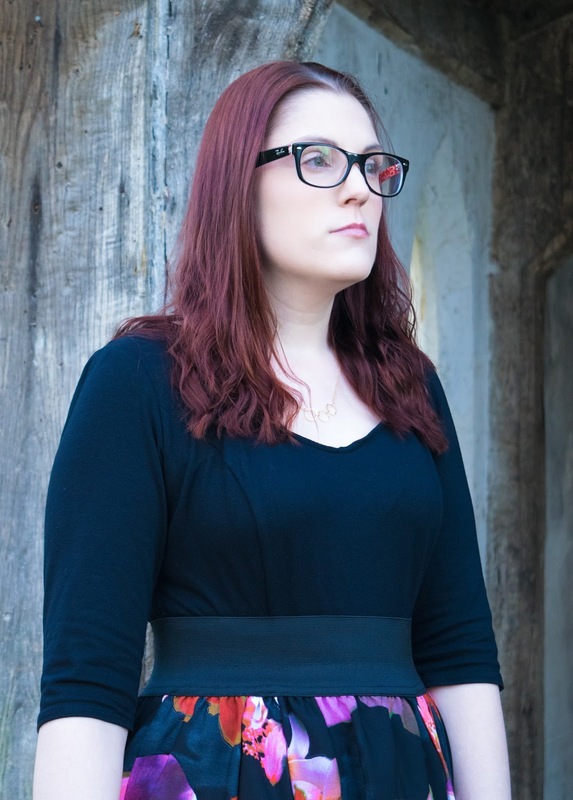 The great thing about the Simply Be collection is that they also have a selection of fantastically priced wedding dresses and a range of items perfect for bridesmaids too. So whatever your role in the big day, I would really recommend checking out the website for some inspiration. Do you have any weddings coming up this year? What do you think of the Simply Be collection? *The dress and bag were kindly sent to me by Simply Be to write about. However, I chose them myself and all opinions are my own. I will only ever talk about items that fit with my blog/lifestyle.